This 4 oz. 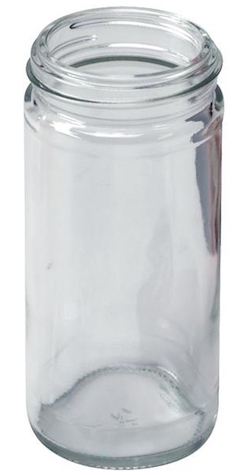 clear spice jar holds spices, seasonings, herbs and flowers. Compatible sifter caps #8726 or #8727 and bottle caps #8725 are sold separately.